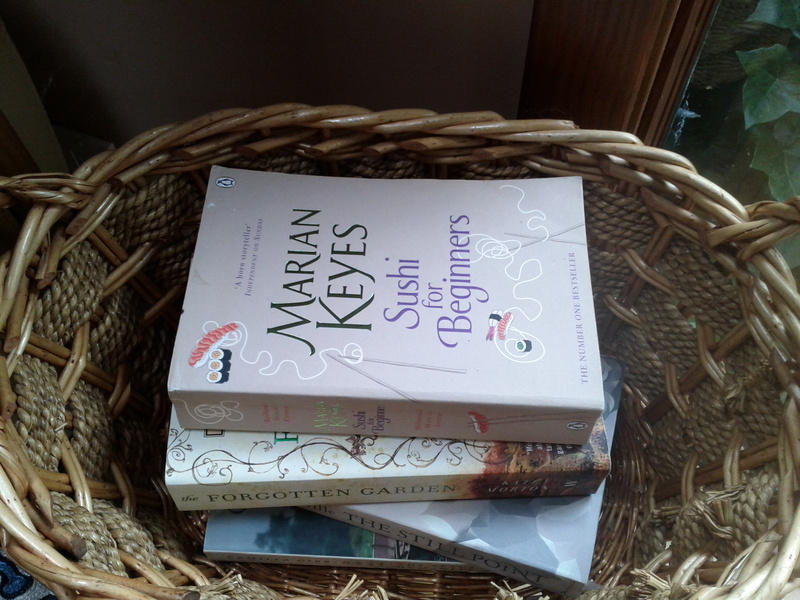 August 2012 – Girl Who Would be KING on Life, Style and INSPIRATION. 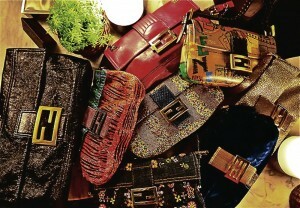 Personal Pinboard – Fabulous Fendi! 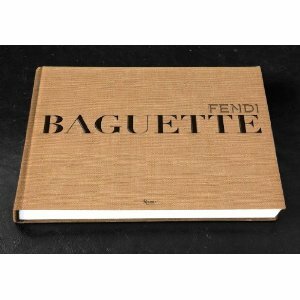 Fending for Fendi and all things considered…. I almost forgot about this photo taken a few years ago at the Fendi flagship store in Vegas. Having always loved their beautiful handbags I stopped in with a friend to check out their new collection but this was a surprise. Who knew they made bicycles? 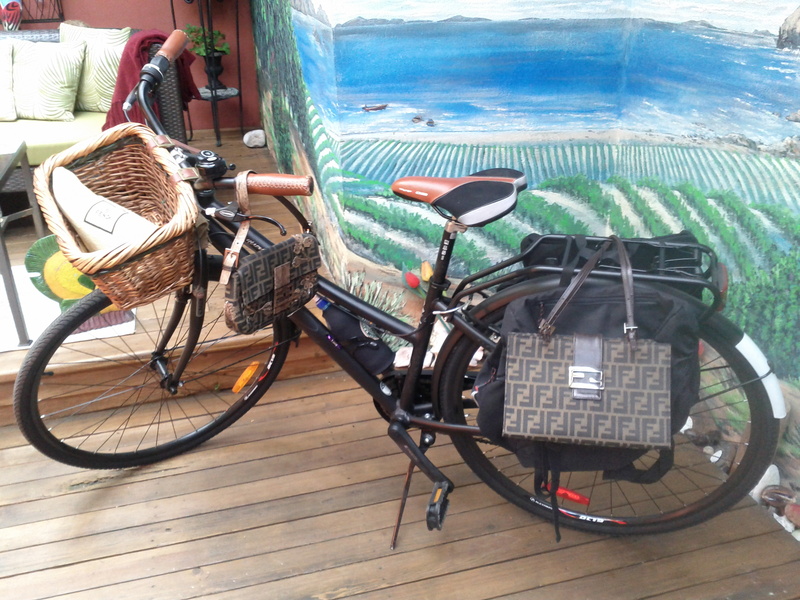 Fendi limited edition bicycle with leather & real fur trimmed saddlebag, leather water holder & retro travel bag that doubles as a carry basket. There were only two. I wonder who bought them? The only reason I didn’t buy it was because I was worried about ruining the fur and leather in the rain. 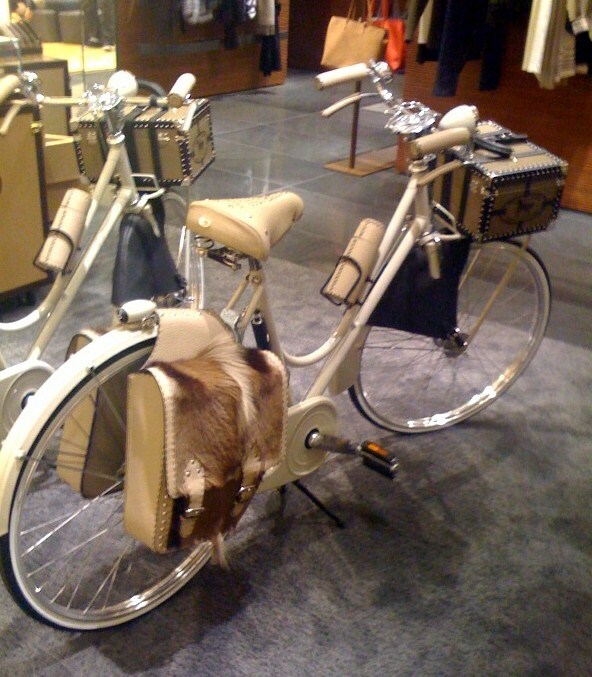 Fendi bike will have to wait. For now i’ll settle for the classic European styling of my favorite Opus nouvelle classico with Nantucket basket available at Mighty Riders in Vancouver. 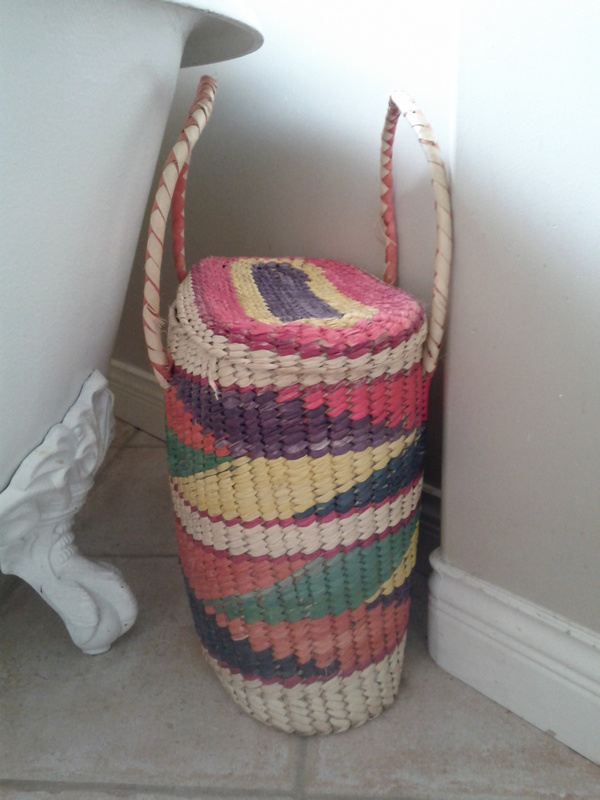 Come on…..i’m not the ONLY one that was obsessed with having this bag right? INtrigue INsider: Let’s get this straight! What do HOT PINK, BLACK, ZEBRA, SNAKE, CHEETAH and GIRAFFE all have in common? They’re all part of MICABeauty Ceramic Classic Hair Stylers which are meticulously tested, beautifully designed hair tools, developed to the industry’s highest standards. MICAbeauty PRO stylers: Our 1.25” stylers produce far-infrared heat that protects your hair follicles while you style, preserving the natural moisture in your hair shaft, protecting your hair cuticle from damage and locking in your color. Unlike conventional flatiron straighteners that use damage heating metal elements the MICAbeauty Pro Stylers utilize 100% ceramic heating systems. We’re making waves one head at a time: The unique floating plates allows you to not just straighten, but also to create waves, curls, flips, volume and many more styles,all with one styler! Regular use of your MICABeauty styler results in healthier hair! Our professional hair stylers and clipless curling irons will give you the thrill of experimenting with exciting hair styles, without the fear of damaging your hair or experiencing color fading. 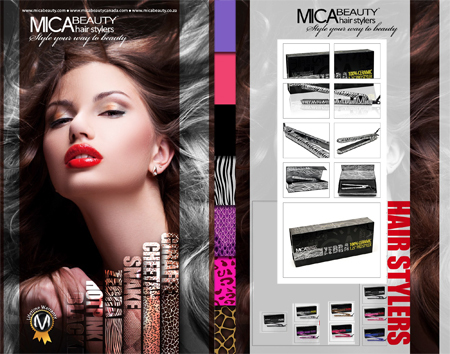 Whether you select one of our bold solid colors or vivacious animal prints, the MICAbeauty Pro Stylers will create healthy, silky and static-free hairdos. One Thing to Another – Stop it! 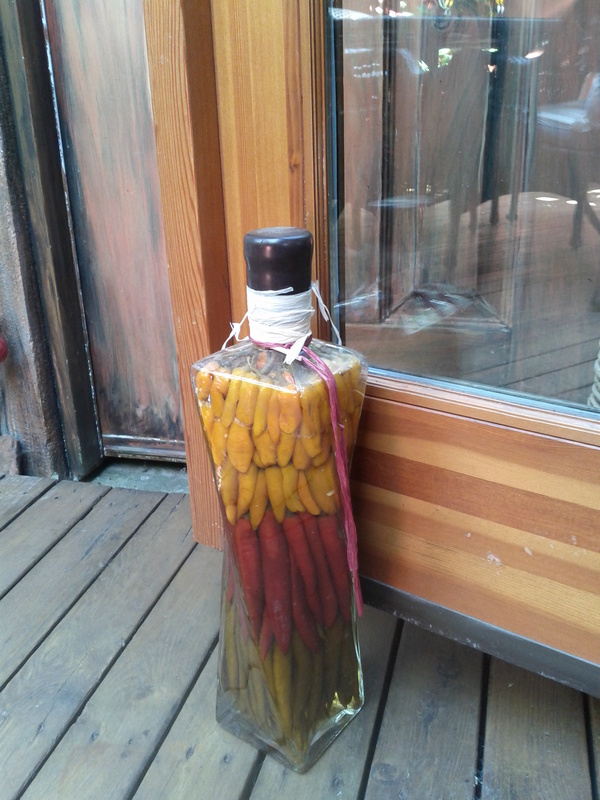 Handy home décor ideas for unusual door stops. 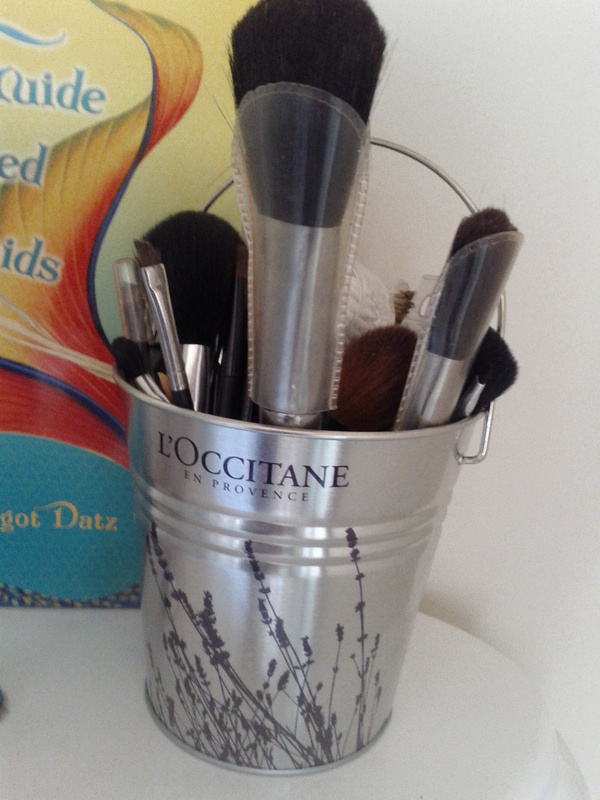 I picked up this heavy display jar at a gift show years ago and it had been standing on my kitchen counter making it more crowded than need be. As it turns out it makes a perfect door stop. 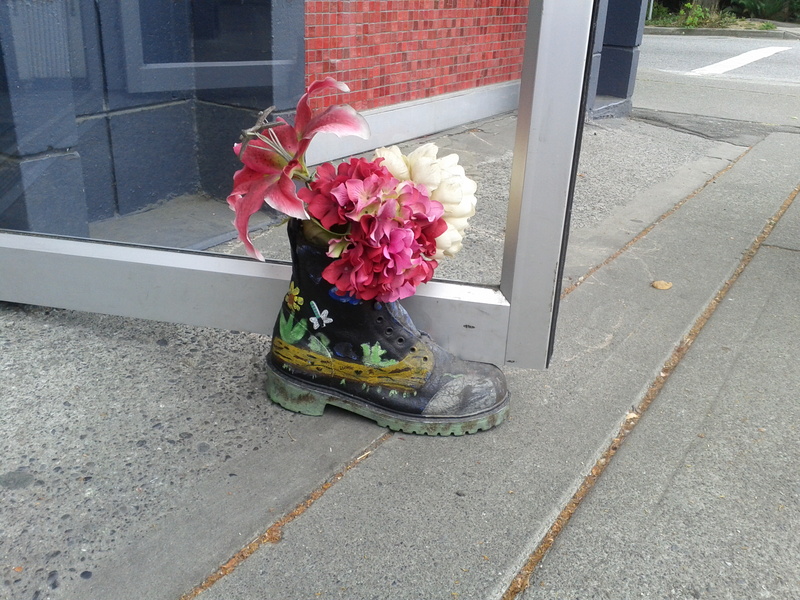 This hand painted boot with flowers holds the door open at a local dry cleaners. Not my idea but cute enough. 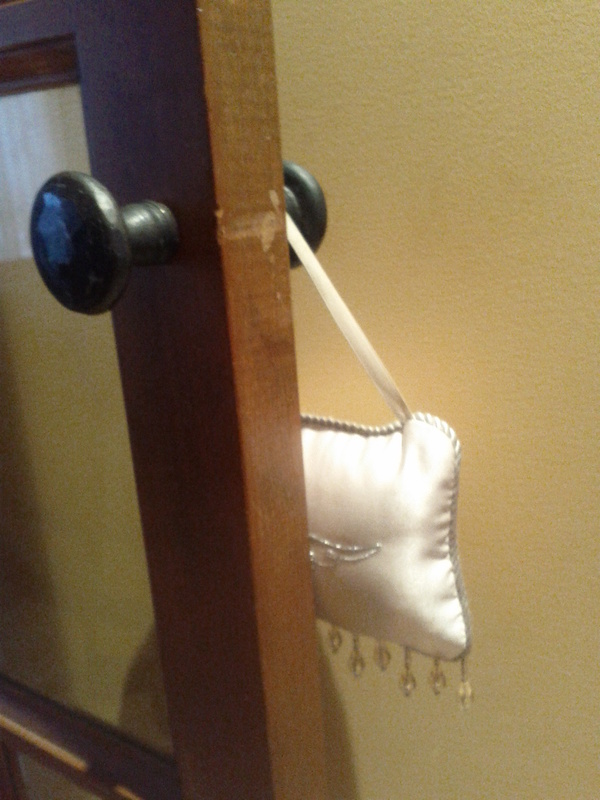 This Victoria Secret sachet (meant for a lingerie drawer) cushions this door handle from hitting the wall. You can also make or use a decorative bean bag to keep door handles from punching holes in the wall when they swing open. 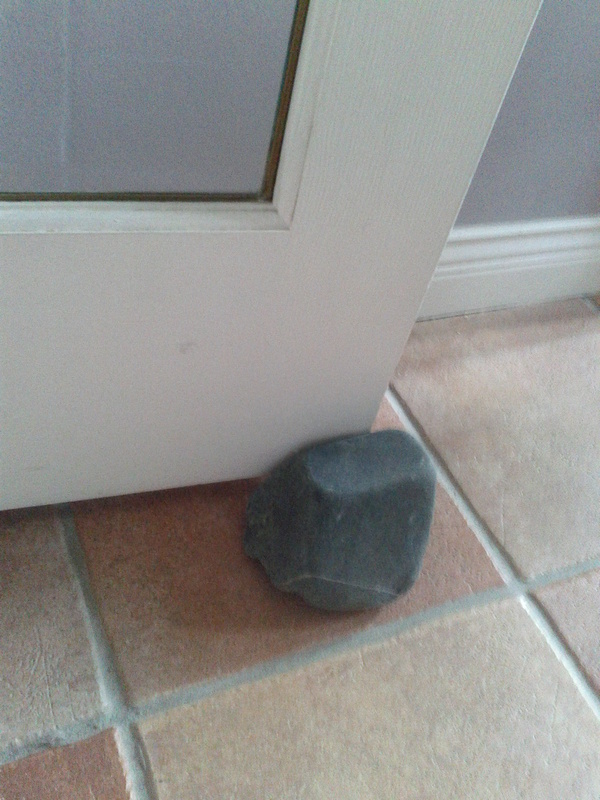 Solid as a ROCK….when you want to make sure the door stays open. 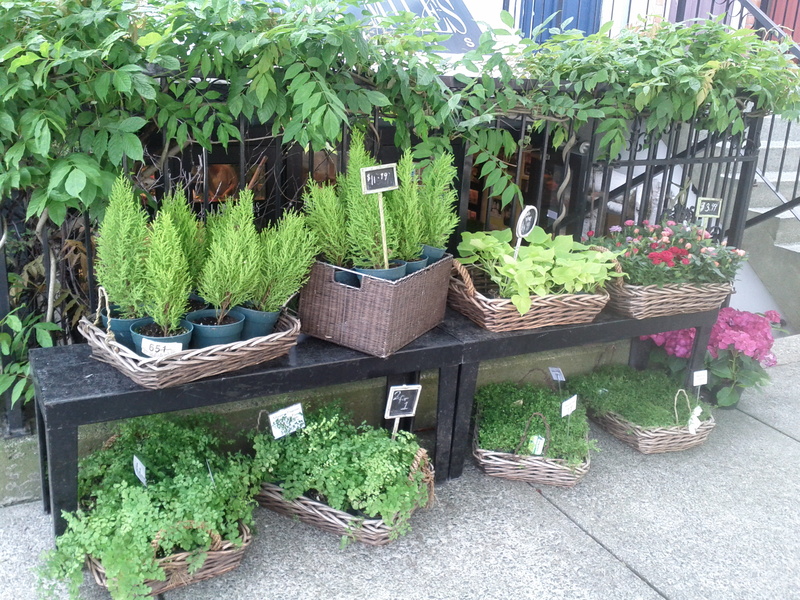 Okay, not as imaginative but they do bring the outdoors….indoors which I always like. 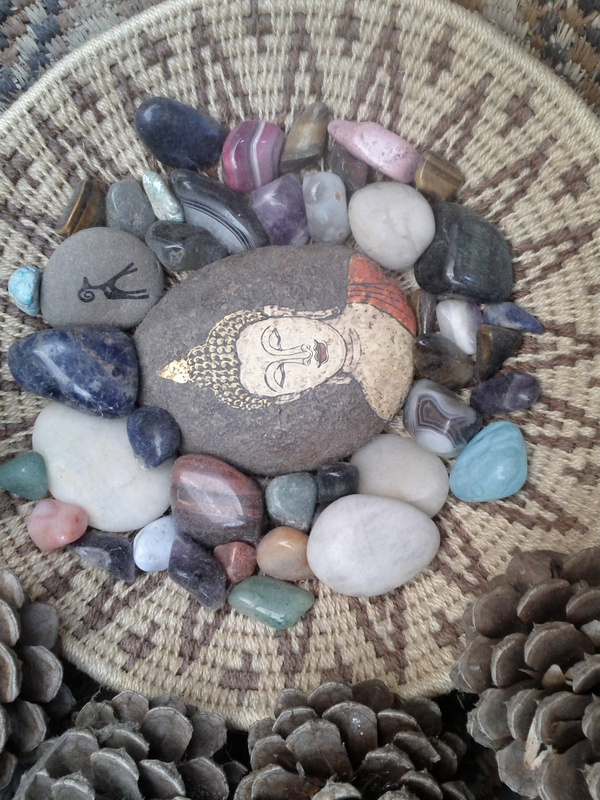 There are a lot of beautiful rocks out there – go look! Simple and Satisfying – two healthy tasty treats! You won’t believe how yummy these energy balls are because of how crazy simple they are to make. Using only 4 ingredients, they taste better than store bought bars, have no extra fillers & are more economical. For some reason this conjures up images of that old Saturday Night Live episode with Alec Baldwin. Do you remember the Schweddy Balls episode? Okay it has nothing to do with this recipe except that they’re a bit sticky. Was he funny or what? Pulse ½ cup of unsalted raw almonds in a food processor (a blender won’t cut it) until coarsely chopped. Add 1 cup pitted dates, ¼ cup of dried **unsweetened shredded coconut and a pinch of cinnamon. Puree until smooth. Then place ¼ cup more coconut on a plate. 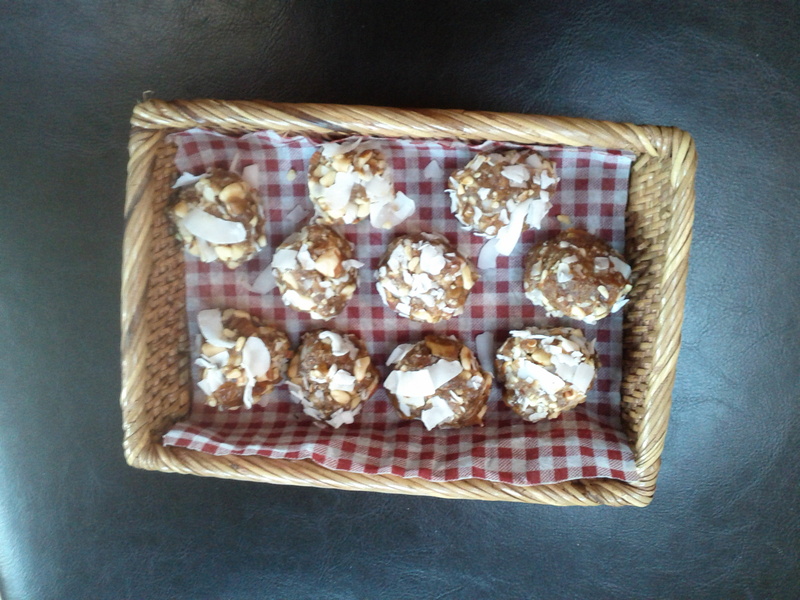 Using your hands, form date mixture into little balls and roll in coconut. You can store up to one week at room temperature in an airtight container. Makes 12. I’m pretty sure you can freeze these although they didn’t last long enough for me to find out. Also; next time I’m going to try rolling them with coco powder and coconut together. **it is difficult to find unsweetened shredded coconut (it’s usually only the “very fine” unsweetened). Granville Island once again…….the “go to” place for what you can’t seem to find anywhere else. 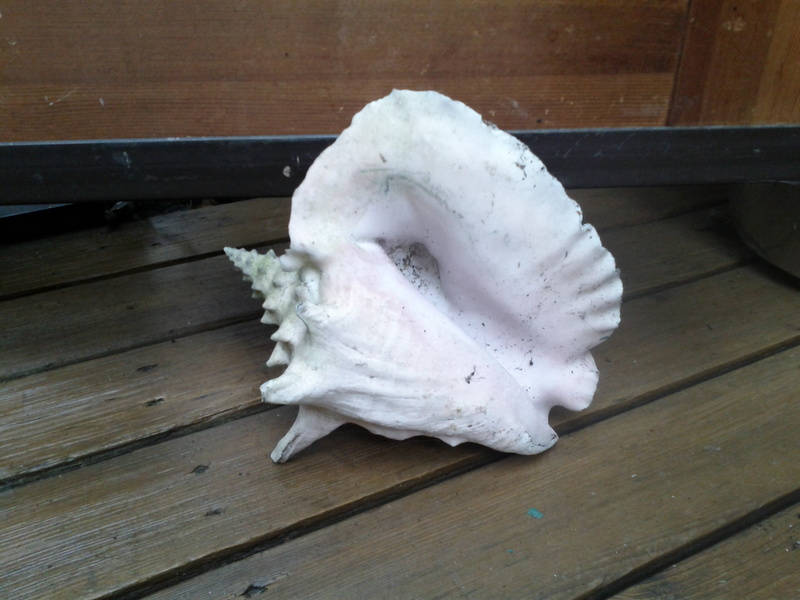 The Grainry for bulk and spices or South China Seas Trading Company for all things exotic. Another tasty treat that’s so unbelievably easy to make & healthy too. Something that will satisfy your craving for chips or nuts with less calories. 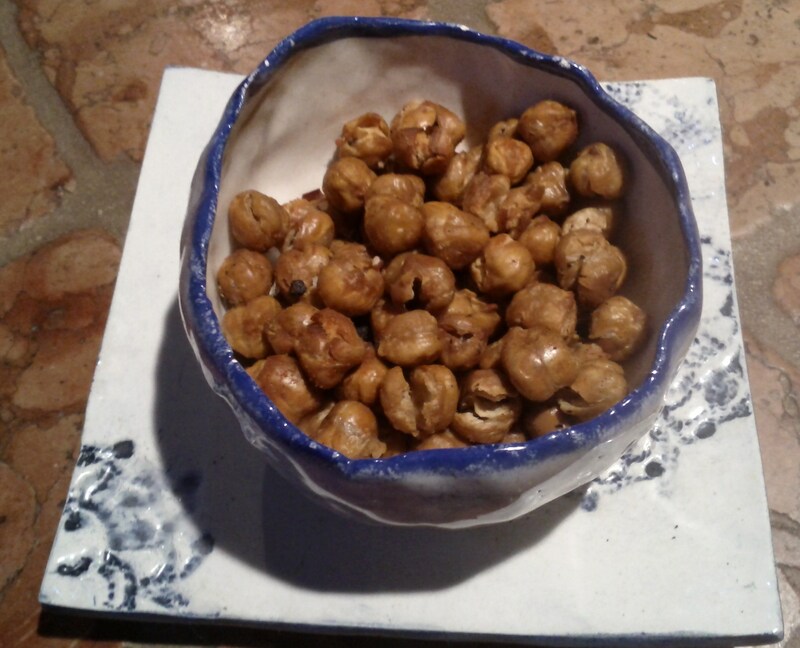 Take a can (or more) of organic chick peas, washed and drained. Set the oven to 350. Put them on a rimmed baking sheet, toss some kosher salt, smoked sweet paprika (or try curry & cardamon or spice of your liking) and at least 1 Tbsp. of olive oil. Bake for up to 40 minutes. They’ll turn out a bit crispy depending on how long you leave them in the oven. And they’re delicious! 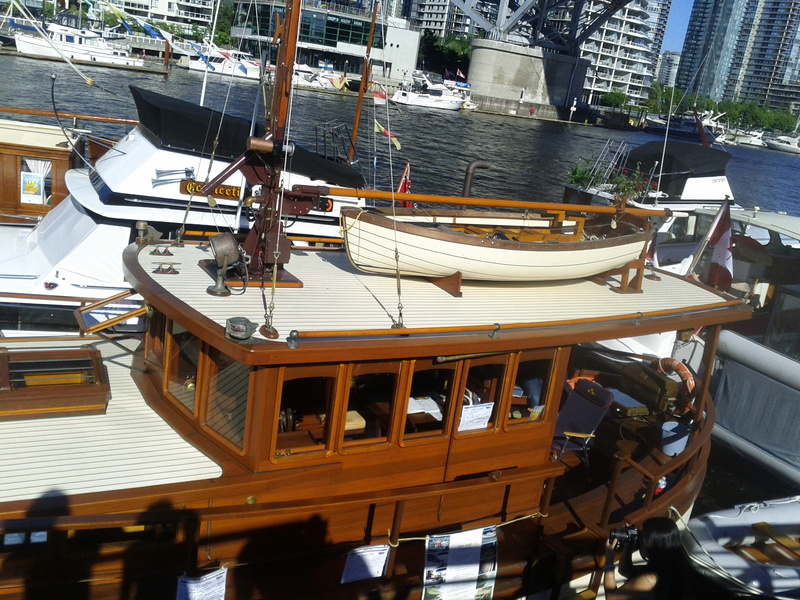 The Vancouver International Wooden Boat Festival just ended yesterday at Granville Island. 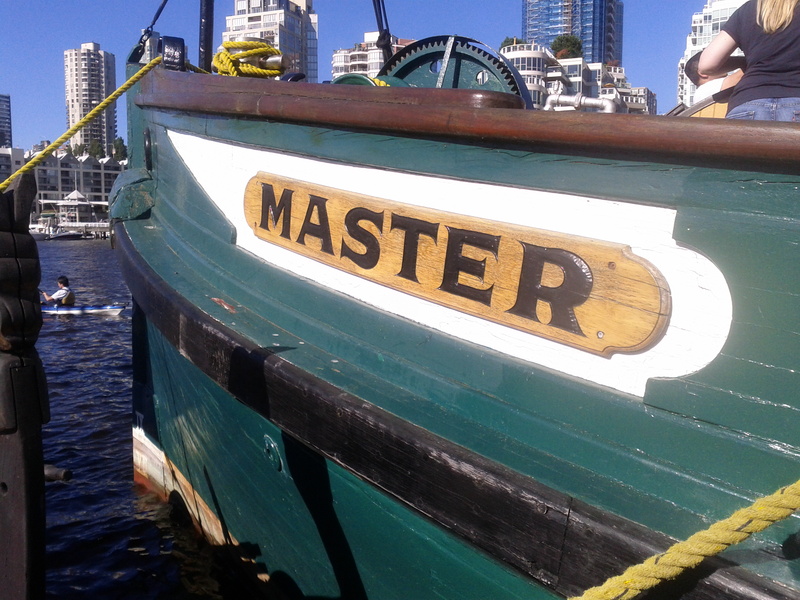 The Vancouver Wooden Boat Society (VWBS) produces this Festival which takes place every year for 3 days in August. 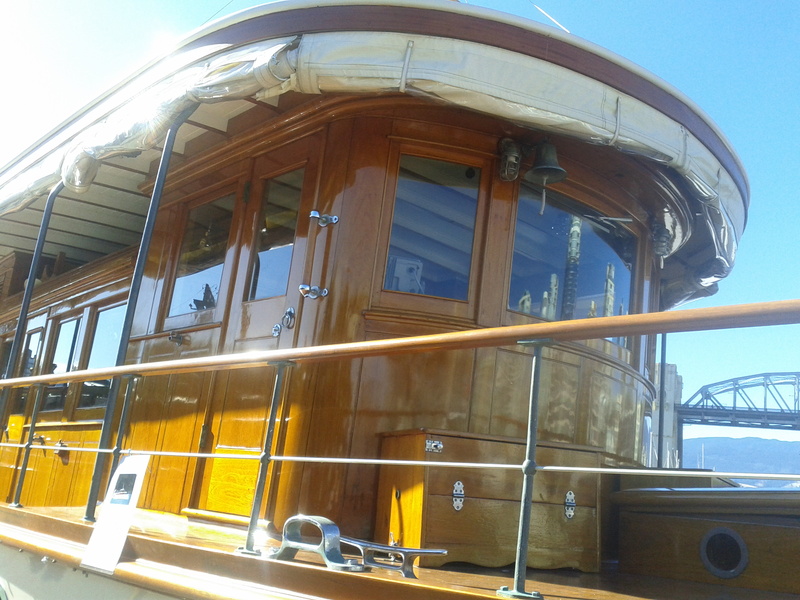 The construction of these particular boats date as far back as the early 1900’s and are regarded by many to be works of art. 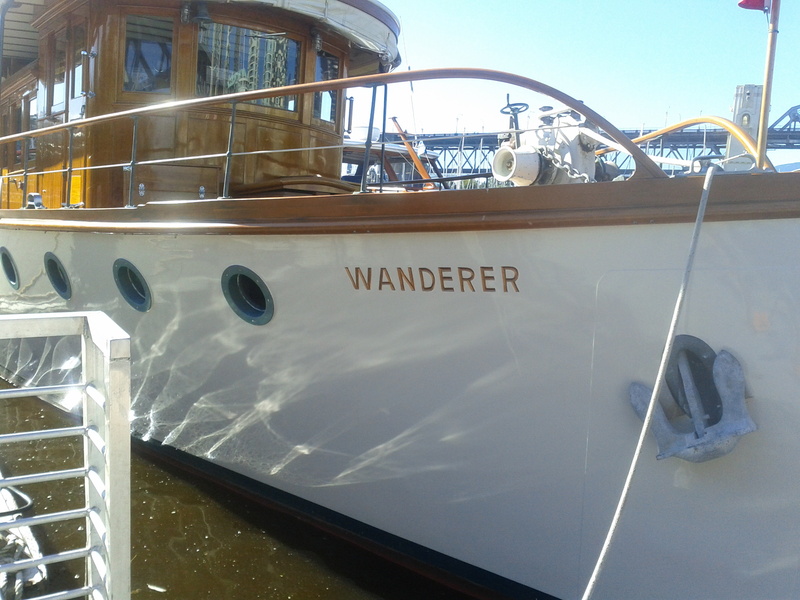 The VWBS is a non profit society composed of wooden boat owners and anyone who has an interest in wooden boats. 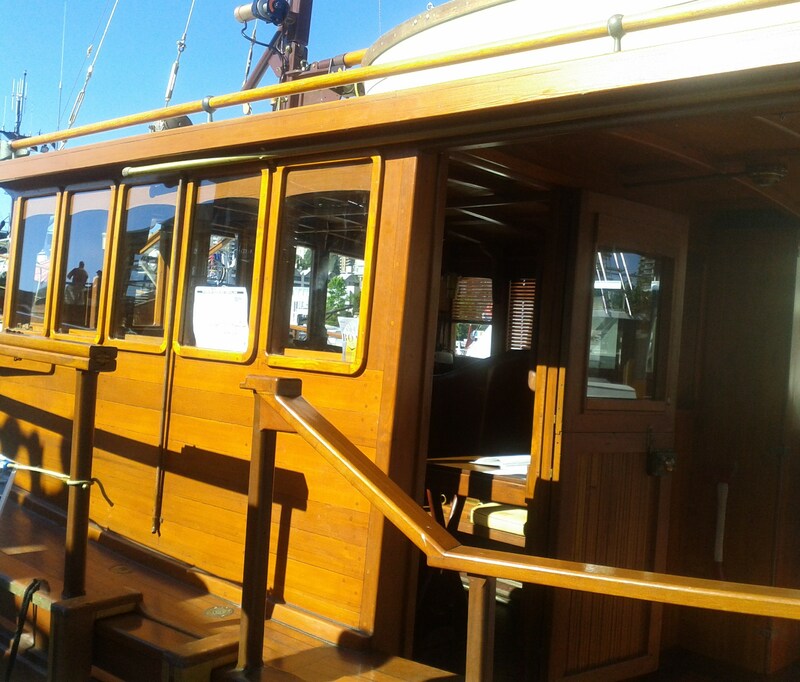 The Purposes of the Society are to promote, encourage and facilitate interest in wooden boats and any and all activities involving and related to them. 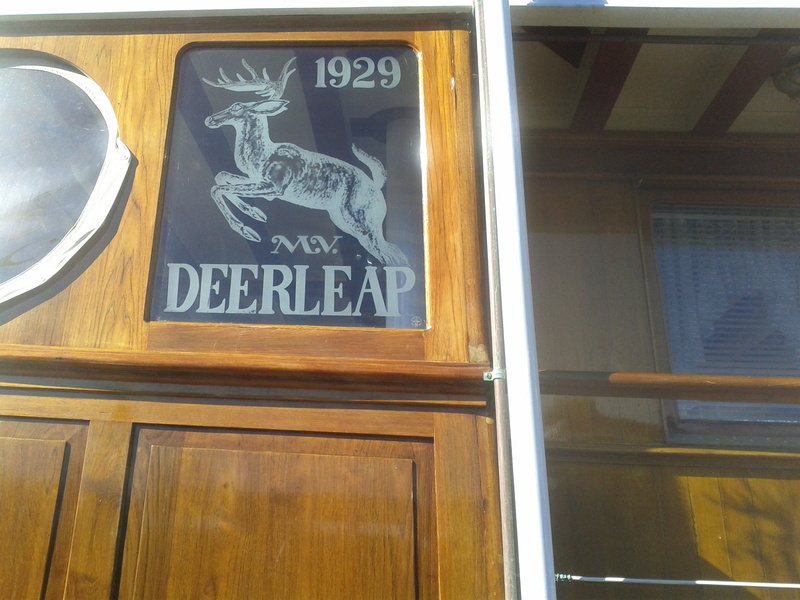 Their Objectives are to serve the interest of boating; to stimulate a greater interest in wooden boats; to develop a fraternal spirit among other boating enthusiasts; to provide a medium for the exchange of wooden boat information and to do all other things which will tend to further interest in boating generally. 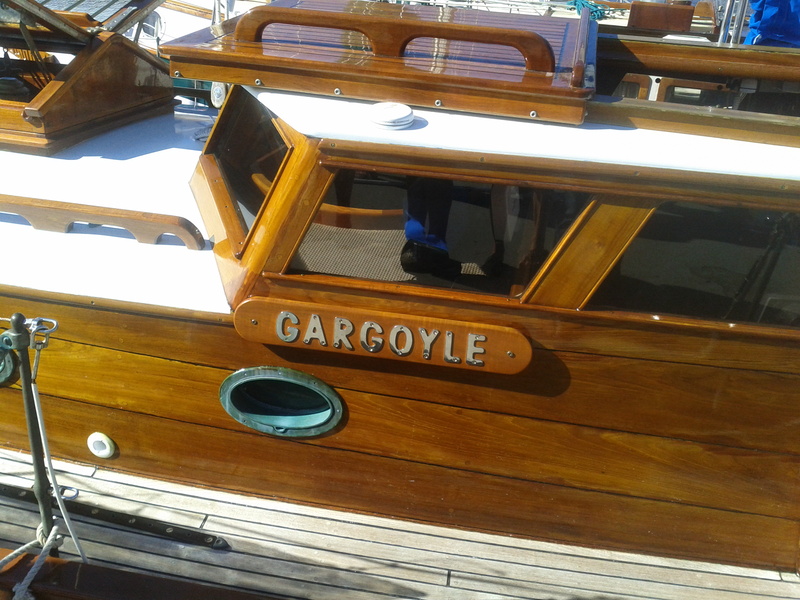 “Ahoy” is the well-known sailor’s interjection, currently meaning hello and/or what’s going on? If you missed it there’s always next year! Don’t forget you can climb aboard too. 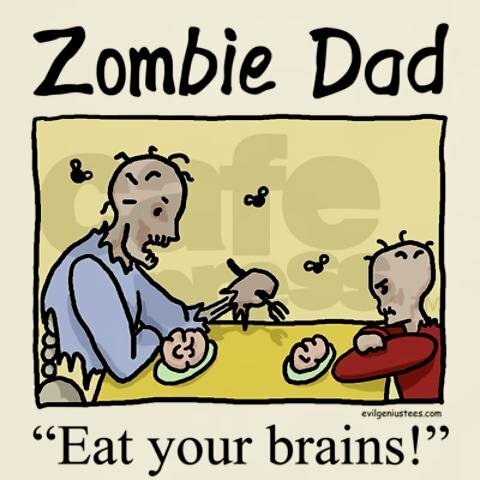 In honor of the Zombie walk last Saturday…………some mindful quotes about Zombies: Don’t worry.. the zombies are looking for brains, you’re safe..
My definition of a good zombie is depending on how it tastes. 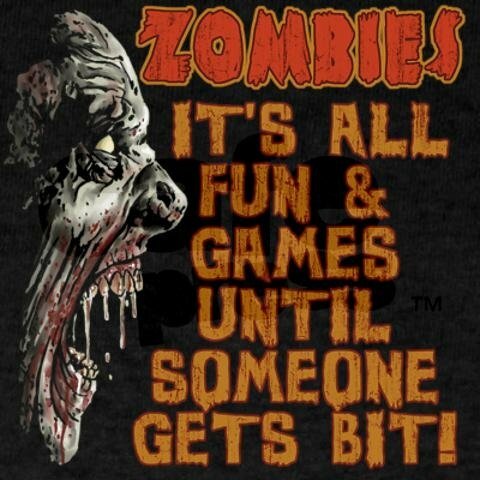 Zombies make great pets, they already know how to play dead! Friends don’t let friends become zombies. Who can forget Michael Jacksons “Thriller?” It’s the Zombies favorite dance song. B Well – we want Nano those Particles! Nanoparticles: A tiny question of safety – a recap from Weekend Review “The Vancouver Sun” article by Alex Roslin on Saturday, August 18th. Why this subject? I asked my husband who was going to the corner store to pick me up a pack of gum or mints. He said “no, haven’t you heard about nanoparticles?” Nano What? Then he handed me the article. The general public is being exposed to nanoparticles and nanomaterials from food and many cosmetics of which they are largely ignorant. A growing pile of studies are showing that these particles may cause cancer and/or damage to organs and skin, Crohn’s disease and environmental pollution. The tiny particles causing the concern are as little as 1/10,000 times the width of a human hair and are measured in nanometres, or billionths of a metre. Trying to avoid nanoparticles is almost impossible. They are in a host of products from any food that’s partly white to toothpaste, sunscreen, shampoo, over-the-counter medicine and even chewing gum. Nanoparticles, because they’re so minute, can cause health problems by penetrating deeply into the lungs, skin, blood, brain and, in pregnant women the placenta. Nano-coating could even be on your produce. Food exporters in Latin America were found to be spraying a waxlike nano-coating on fruits and vegetables bound for the U.S. and Canada to extend their shelf life. Two ingredients commonly used in nano-form are titanium dioxide and zinc oxide. Some nanoparticles could have the same impact as asbestos and the general public is either unaware or poorly informed. Nanoparticles are extremely widespread. Everyone is exposed to them to some extent and so far there is no regulation to control them in Canada. Health Canada refused to grant an interview for this story. This is all very unsettling to say the least. What can we do? 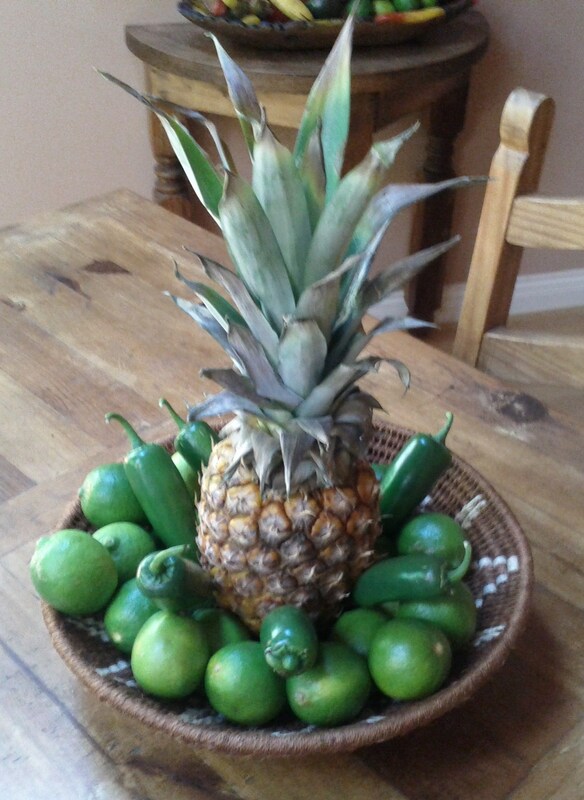 Healthy Living at: VoiceAmerica Health & Wellness | VoiceAmerica™ The Leader in Internet Media. Picture This! Jia Jia as the Face of Fido? It’s a long shot but every vote counts. 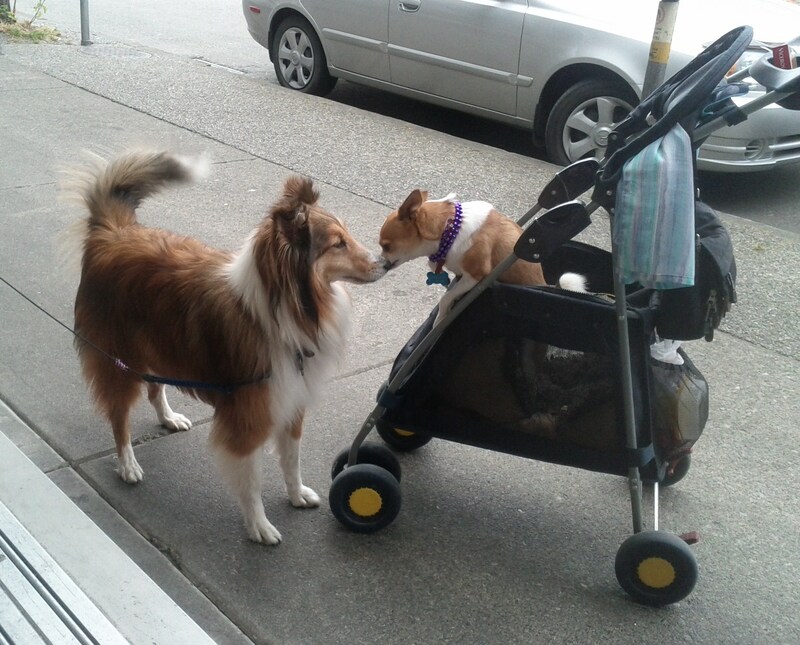 PLUS… Fido will pay $1 per vote to support Lions Foundation of Canada Guide Dogs. 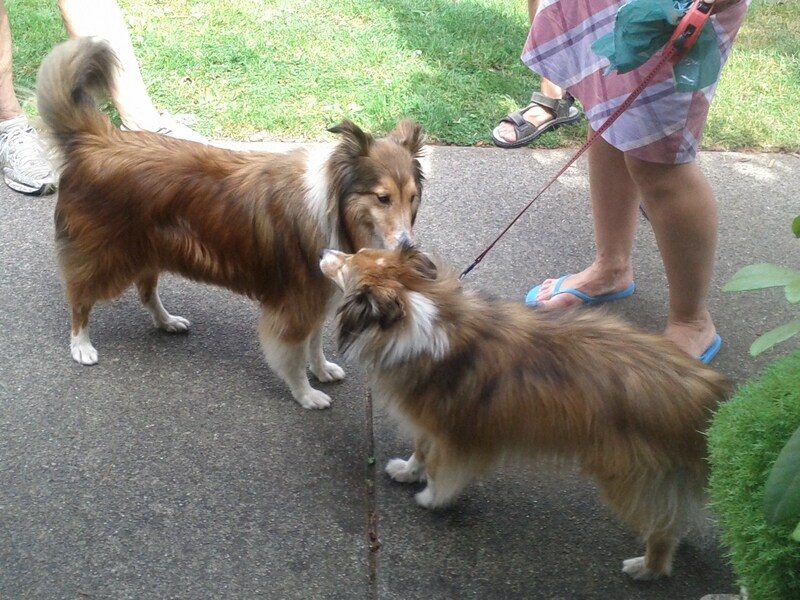 Confessions of a Dogaholic – part two: More reasons why I love……. We’ve had dogs and cats in our family since I was born. 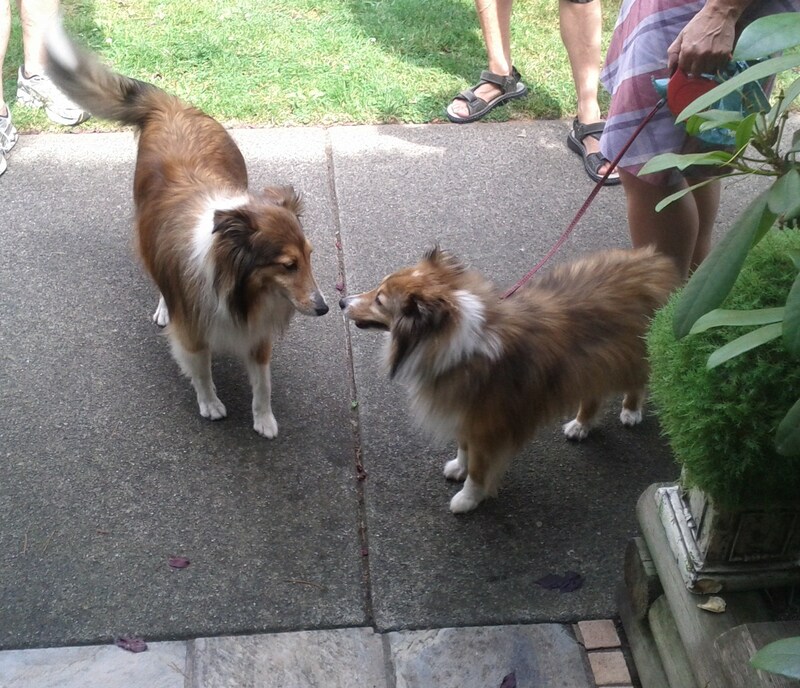 Growing up with animals is wonderful and while I like dogs I’ve always been more partial to cats…..until now. 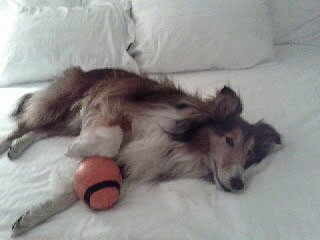 Maybe that’s because this little sheltie has many “cat”acteristics. He’s agile, very curious and fascinated by cats. 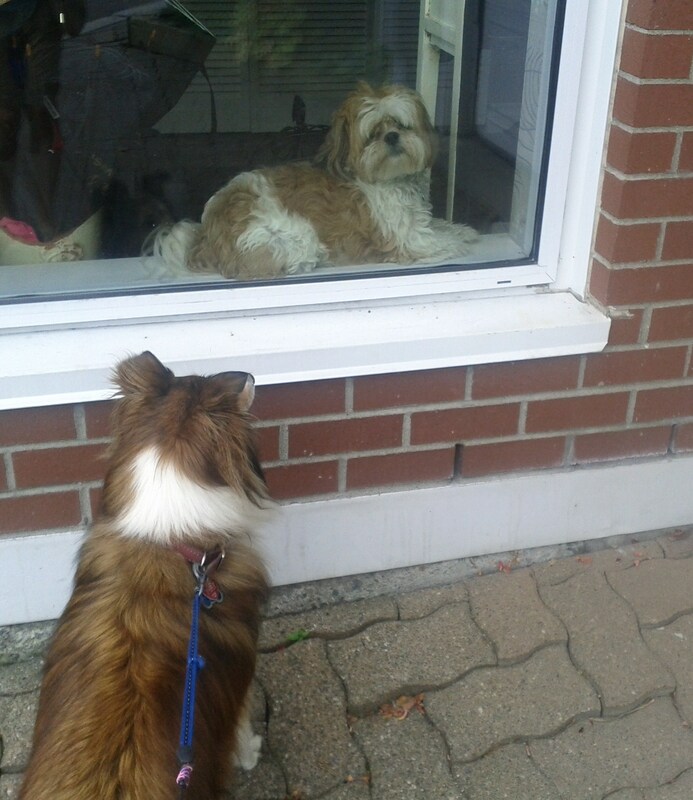 He just stops and stares whenever one is nearby. He’s a dogcat! 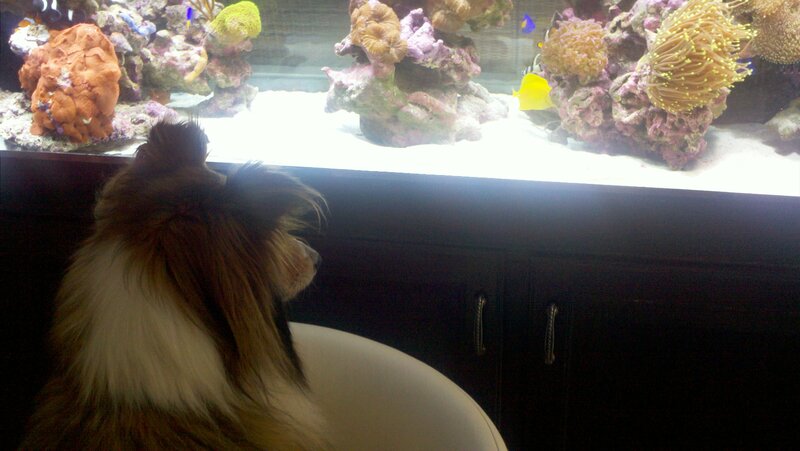 His eyes always follow one little fish in the tank. 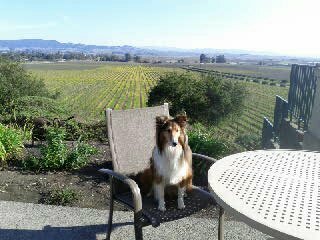 On occasion he likes to visit wineries. This one in Napa. 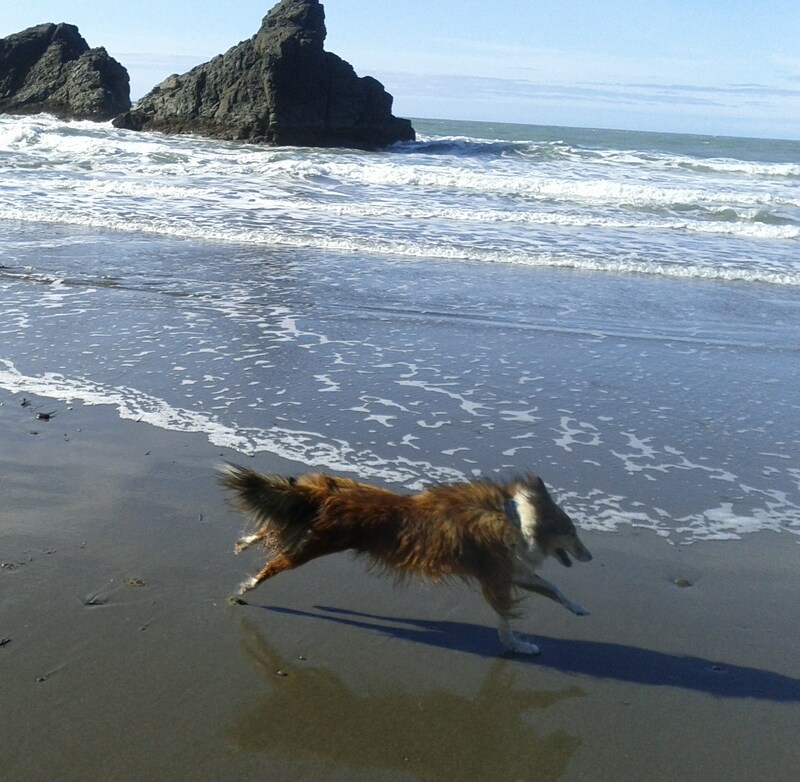 But most of all never misses an opportunity to run along the beach. Here in Oregon. 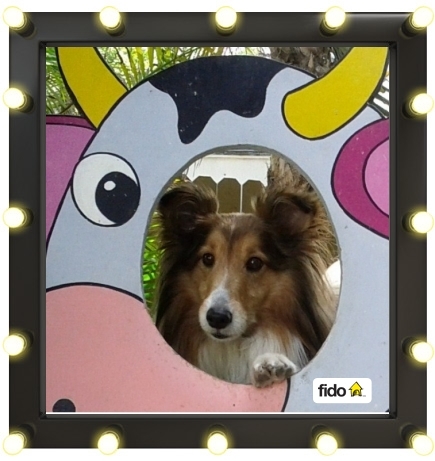 *Fido is a Canadian cellular phone company. INtrigue INsider – what is a chemise? Evening wear or bedroom wear? Chemise is a French term (which simply means shirt). As lingerie, a chemise is similar to a babydoll although babydolls are usually more loose-fitting at the hips. A chemise is more bedroom wear but you can wear it out in public depending on the material. I had a customer once buy a very pretty see-through chemise to wear as a dress with a slip underneath. The problem was finding the correct slip but eventually she did. A chemise typically does not have any buttons or other fasteners, comes in a variety of lovely fabrics and is put on by either dropping it over the head or stepping into it and lifting it up. I wear a few of my beautiful silk “Mary Green” chemises as dresses on occasion. Even a silk dressing gown worn as a cover up. You know yesterdays underwear is todays outerwear! 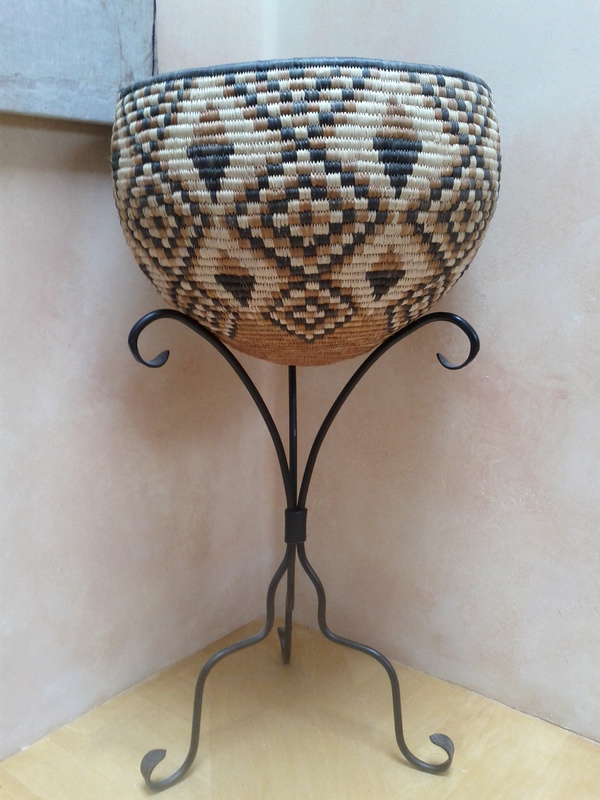 I collect baskets and bowls among other things from various travels and then wonder where to put them all or how to make use of them once home. 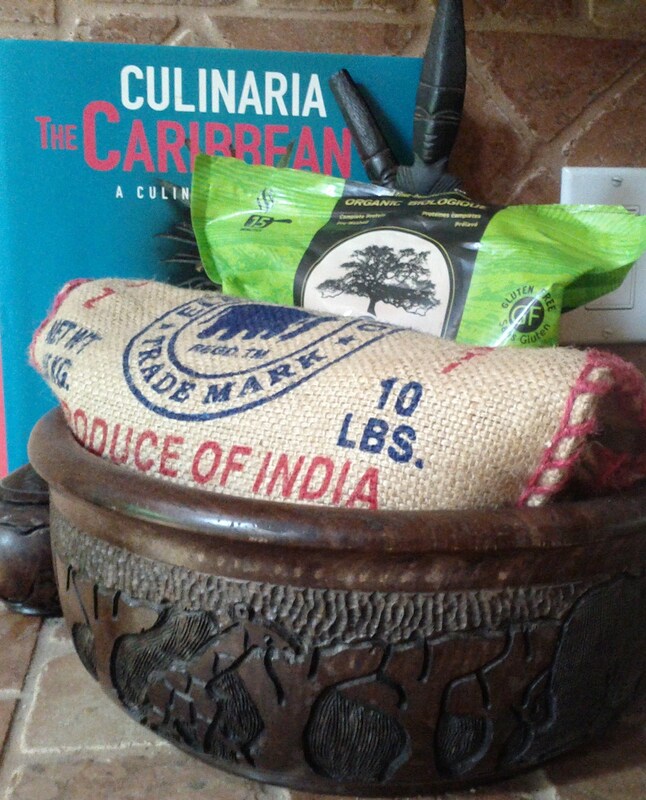 when not in use as a salad bowl this ebony beauty from Kenya holds rice & grains. 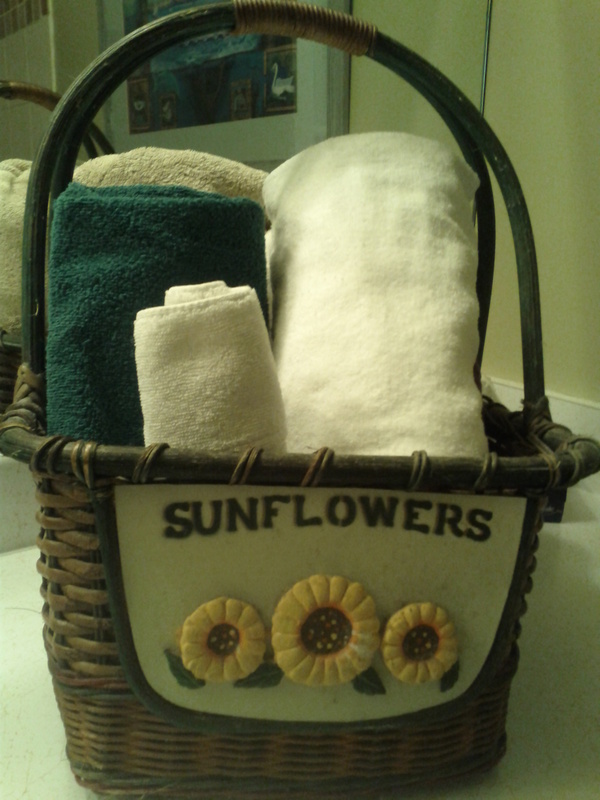 So many baskets – so many uses. 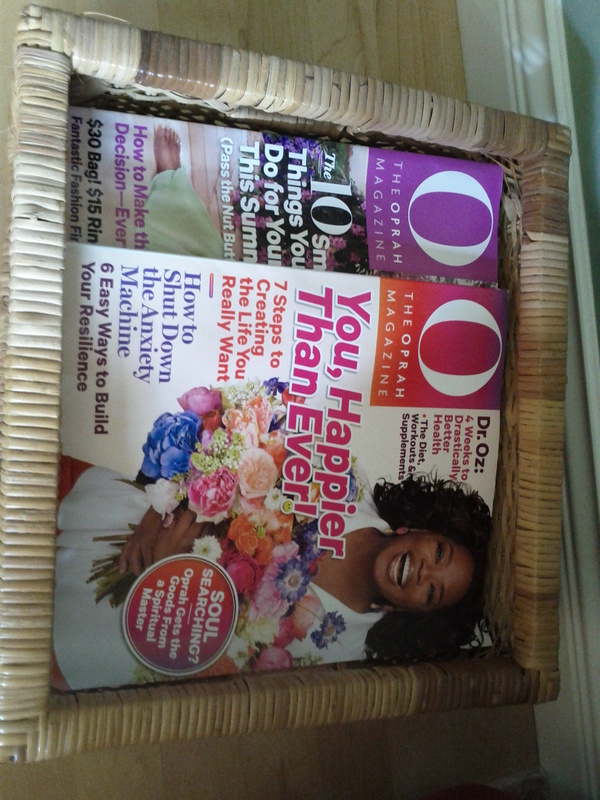 I try to find ways to store things in as many baskets as possible. 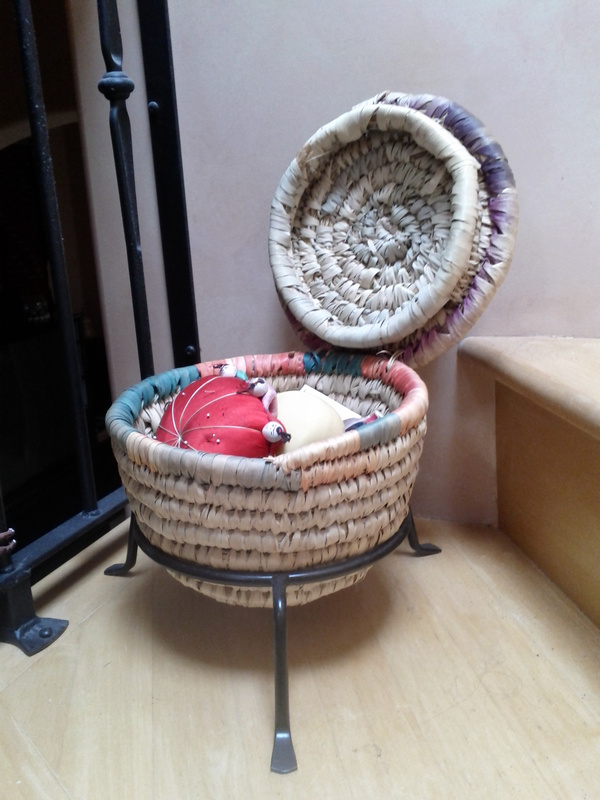 As you can see from the photos there are several ways you can use and display your baskets and make them functional too. 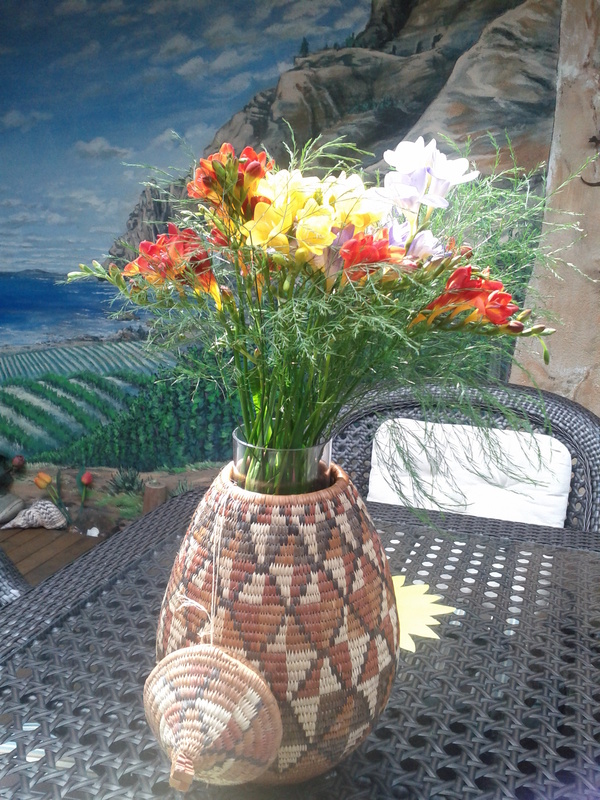 Hand woven Zulu basket from Durban, S.A. Glass insert for flowers.